Many people are foregoing the traditional European vacation. Tired of the typical tour group agenda, a new breed of traveler is opting for a more educational experience. A variety of programs is available in the Tuscany region of Italy that provides individuals an in-depth perspective on subjects as diverse as art history, regional Italian cuisine and winemaking. A two-week program in art history provides an intense study of the magnificent work of the Renaissance art of Florence. Daily lectures and field trips offer the traveler a first-hand look at the most important works of artists such as Michelangelo, Raphael and Da Vinci. Art history and culture are made accessible through guided instruction and hands-on study. If Tuscan cuisine is more to your liking why not enroll in a weeklong culinary arts program? Designed with amateur chefs in mind, participants learn to prepare a variety of regional Italian cuisine. Professional chefs provide demonstrations and instruction on typical Italian ingredients, cooking techniques and valuable tips on preparation and presentation. Each day students prepare entrees and dine together in the manner of a typical Italian family. A program on Italian wines provides an introduction to the art of winemaking. Learn the unique cultivation techniques particular to the Tuscan region. Develop your palette with daily wine tastings, and learn how to pair wines with food. 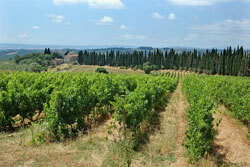 Excursions to local vineyards and wine cellars will complete your education and enhance your Tuscan experience. Whatever your interests, Tuscany offers an educational experience just for you.